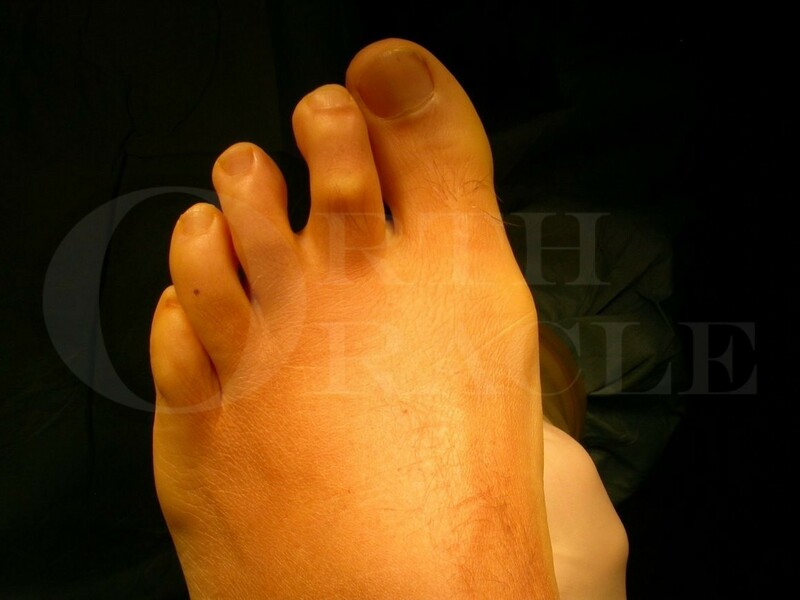 Learn the Crossover second toe deformity: Extensor Digitorum Brevis transfer surgical technique with step by step instructions on OrthOracle. Our e-learning platform contains high resolution images and a certified CME of the Crossover second toe deformity: Extensor Digitorum Brevis transfer surgical procedure. A crossover deformity usually effects the second metatarso-phalangeal(MTP) joint though the third or fourth joints can be far more rarely effected. It is most often a multi-planar deformity and can encompass both varus and hyperextension at the MTP joint as well varying degrees of flexion of the PIP toe joint. Pain will occur due to dorsal and medial second toe impingement as well as from the web space and plantar aspect of the second metatarsal head and the effected MTP joint. The webspace is commonly afflicted by a neuroma/bursa complex , the metatarsal head by plantar plate tear and mechanical overload and the joint by florid synovitis. If caught early some attempt at corrective taping after steroid infiltration may be useful but most symptomatic cases require operative correction.